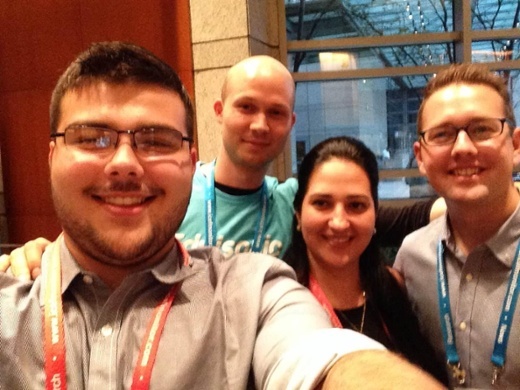 Nicolas and I attended ICEF Sao Paulo last week and it was incredible for us. 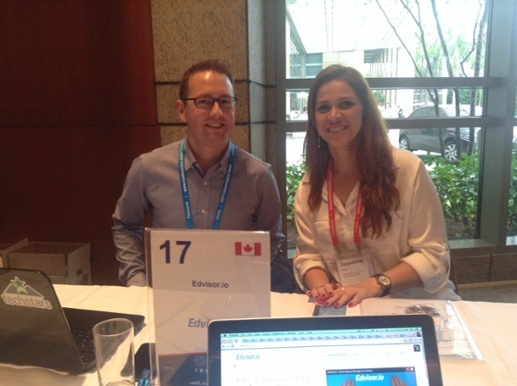 It was the second ICEF conference for Edvisor, the first being back in Vancouver, where we are from. It was very well organized and even had a fantastic party with traditional Carnival music and dancers. 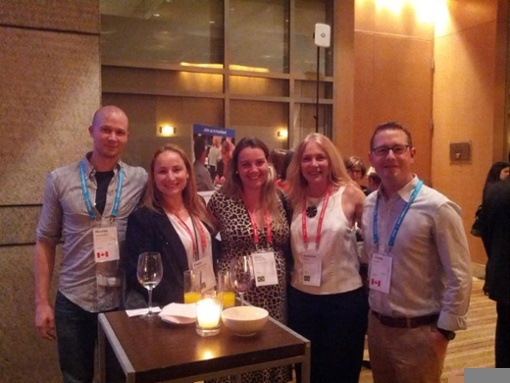 One of the best things about this ICEF was walking around and seeing our partners that we had only met previously through Skype. It was so great to finally meet them face to face and make that relationship stronger. 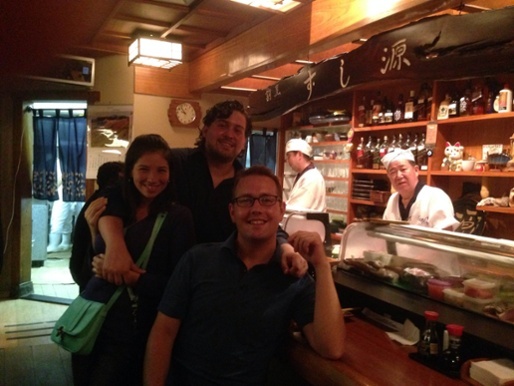 Over the 2 days of the conference, we had about 48 30 minute meetings between Nicolas and I. We had some amazing responses from everyone. 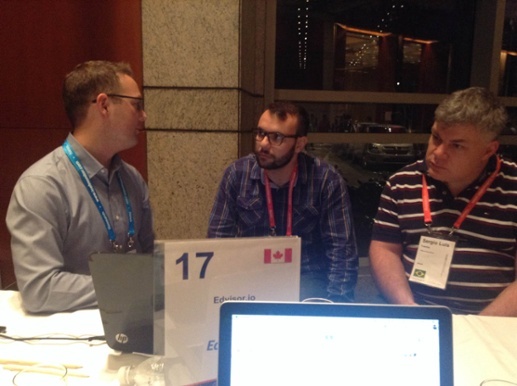 They loved our new software and we we made a lot of new partners from these meetings which was great! Jaqueline and I after our meeting. The good boys from Nexus intercambio. Our wonderful friends of the family team Wesbrasil! The lovely ladies from Melbourne Int. So great to meet you face to face!! You gals are awesome! During our second night, ICEF put on a great dinner party with the tradition music and dance of the Carnival. I could only imagine the energy of 10,000 drums pounding at the real Carnival. I have to attend that one day! ~ I hope! Here are a few pictures of my experiences in Sao Paulo! 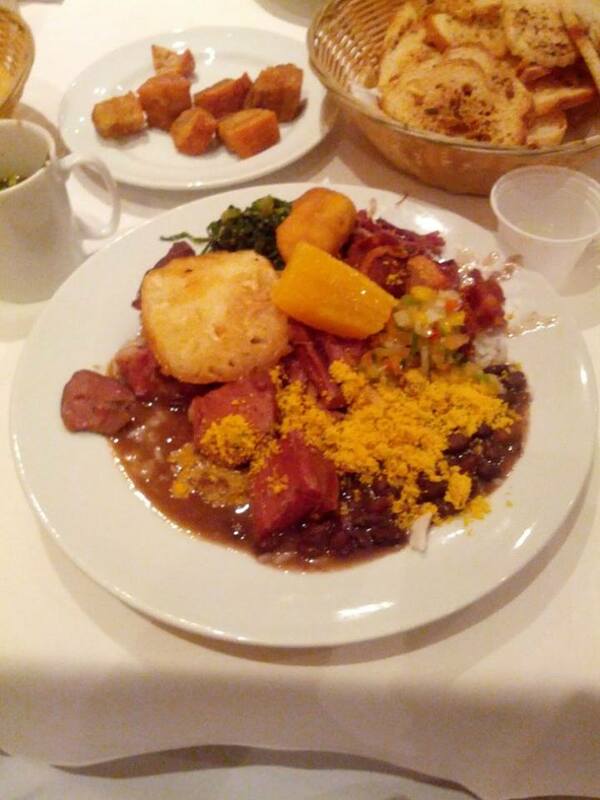 On Wednesday when I first arrived, I had some Feijoada that I still dream about. 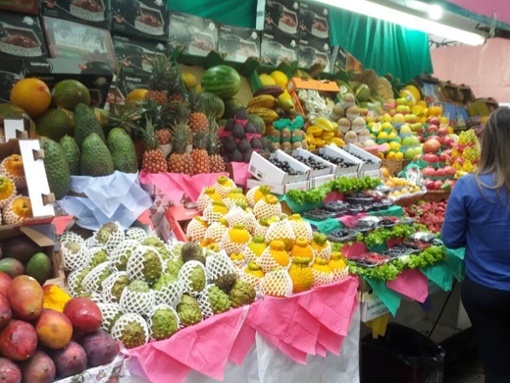 Brazilian fruit is so much better than fruit in Canada. There is so much juice and flavour! To summarize, this was a great experience for us, for business of course, but also for the opportunity to know more about Brazil and their culture. The people are so kind, generous and fun! Brazil is a place I must visit again very soon. If you have any recommendations on places I should visit in Brazil next time, Please tell me in the comments. I would love to know!